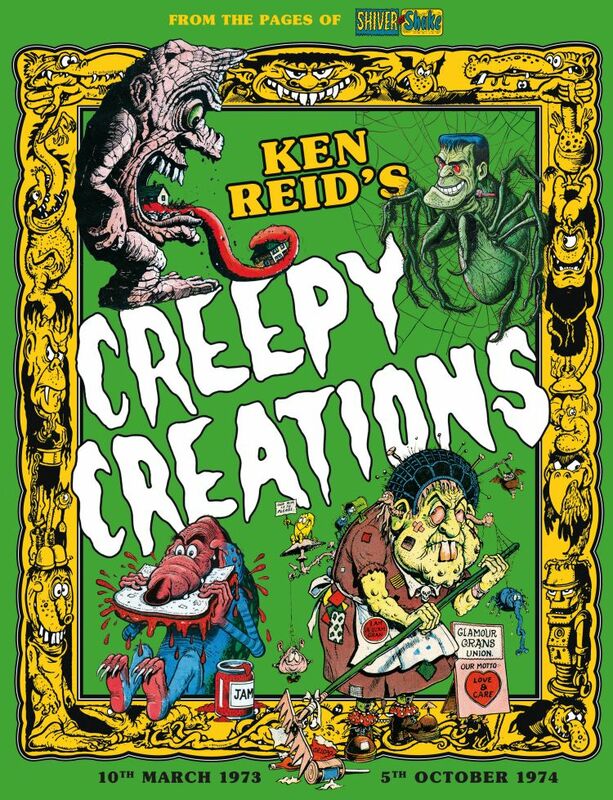 Staff Picks for November 28, 2018 – Ken Reid’s Creepy Creations, Eternity Girl, These Savage Shores and More! Last week we presented a run-through of 2000 AD publisher Rebellion’s plans for 2019 including their much admired Treasury of British Comics collections. These collections of classic British comics material have been incredibly well-received with the Scott Goodall/John Stokes Marney the Fox hardcover winning the 2017 Broken Frontier Award for Best Collection of Classic Material. 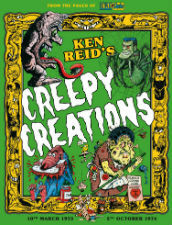 Also nominated in that category was the first volume of Ken Reid’s Faceache strips. Reid’s gloriously grotesque characters were a staple of weekly British comics for many years and this week sees his Creepy Creations illustrations from the back page of Shiver and Shake all brought together in one place. Meet the Fanatical Fungus-Grower of Frogpool, the Manchester Aqua-Kwak, the Boggy-Eyed Butty-Biter of Sandwich and many other horrors inspired by readers’ suggestions in another essential Treasury tome. I’ve lost track of the current status of Young Animal, but for a while some of the imprint’s titles shone brightly amid what seems to be the general gloom of a largely mediocre monthly comics market. 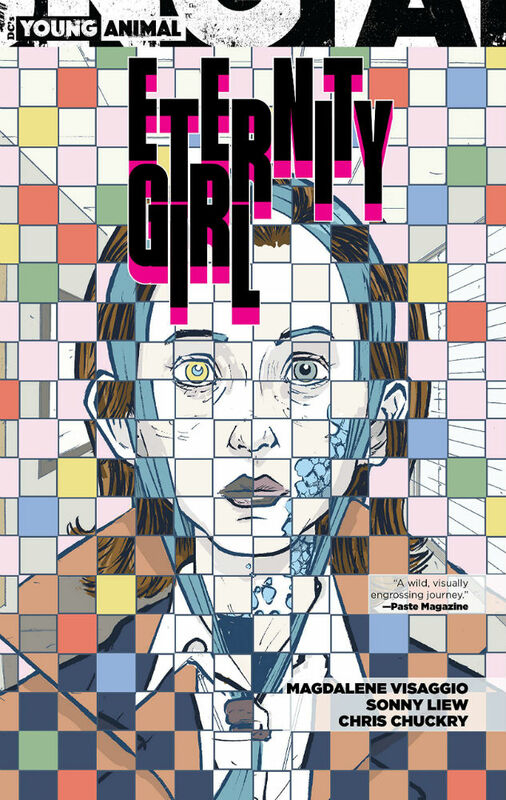 One of its later releases was Eternity Girl, an intriguing miniseries by Mags Visaggio (Kim and Kim) and Sonny Liew (The Art of Charlie Chan Hock Chye). It tells the tale of Caroline Sharp, a former superhero and superspy seemingly doomed to immortality until an old foe turns up with an intriguing proposition. Drawing initial inspiration from the acclaimed ‘Façade’ issue of Sandman (1990), Visaggio and Liew spin the story into a layered piece of work that rewards a bit of lean-forward reading. Visaggio takes on a thought-provoking itinerary that includes mental health, existentialism and the effect of continual comic reboots, while Liew again showcases the visual intelligence and versatility that lit up the Eisner-winning Charlie Chan Hock Chye. The near ubiquitous Ram V (another Broken Frontier Award nominee!) writes this supernaturally-charged historical thriller with sumptuous, moody visuals from Sumit Kumar. 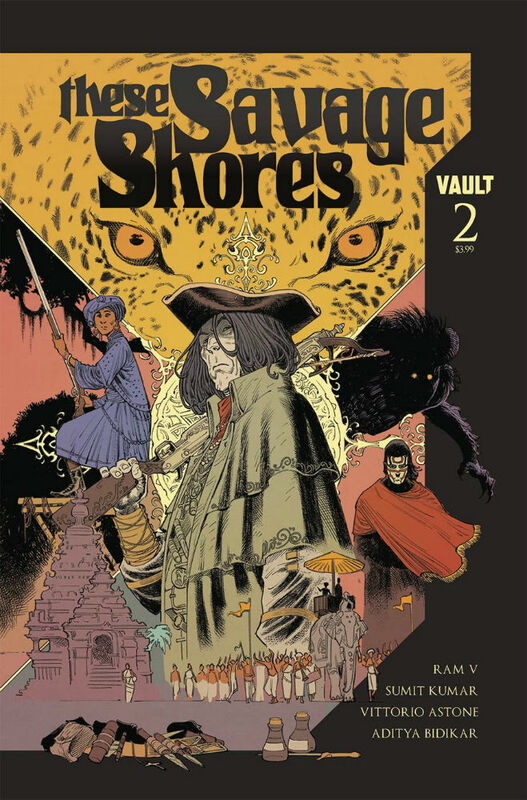 It’s another book from serial comics rising star publisher Vault Comics who have certainly been making a major name for themselves on the genre comics scene this year with growing interest in their line-up of sci-fi, horror and fantasy fare. A tale that merges 18th century merchant traders and unspeakably ancient evils, we somehow managed to overlook These Savage Shores in our Staff Picks when it debuted last month. We’ve seen a preview issue of #2 and it’s the worth the price of admission for Vittorio Astone’s atmospheric colouring alone. 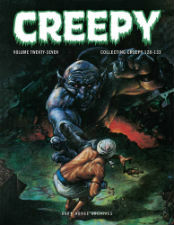 Twenty-seven volumes in, and approaching the end of this collection of the seminal horror comic, most readers will know what to expect by now from these handsome Dark Horse anthology reprints. 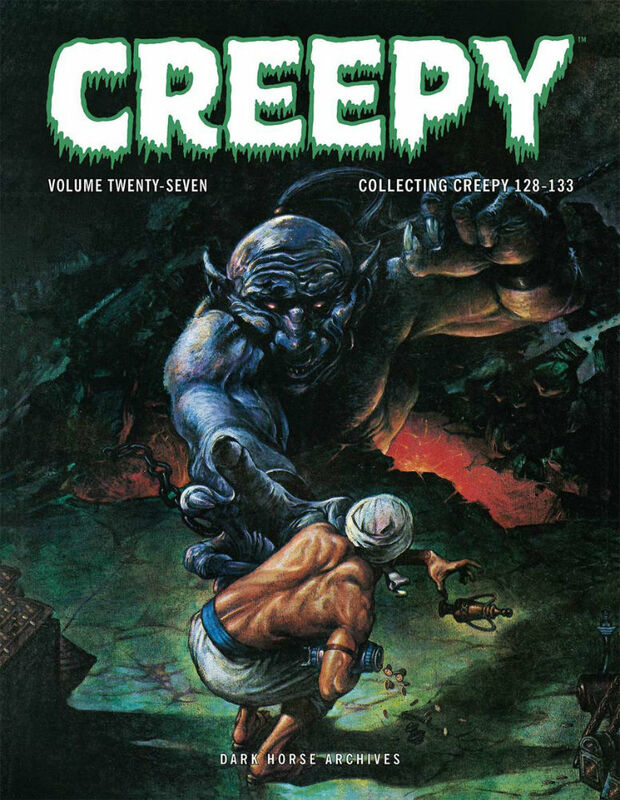 Creepy was first published in the 1960s and by this point in the early ’80s it was arguably no longer the force it had once been. 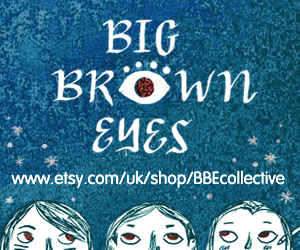 But there’s still plenty of unsettling fun to be had in this compilation (and some cracking covers too!). Collected from the pages of Dark Horse Presents, The Once and Future Tarzan is now available as a one-shot stand-alone trade. 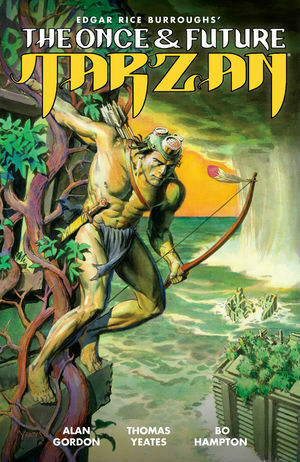 Writers Tom Yeates and Alan Gordon vault the Lord of the Jungle into the half-flooded ruins of a future version of London beautifully rendered with nods to Tarzan’s history in comics by artists Bo Hampton, Lori Almeida, and Stev Oliff. His unique skill set will be put to the test by the familiar but severely altered terrain, the wildlife inhabiting this “new” city, and by London’s cunning human denizens. Pulp fans and those of us who are sure that Tarzan deserves a stand-alone series will enjoy this compilation and the 40 bonus pages of new material. Staff Picks for October 25, 2017 – Black Crown Quarterly, Redneck, Baking with Kafka and More!